This post is on Horoscope wise, astrology wise how will be the next year 2016 for Narendra Modi? Will he impress india, will india move forward under his leadership or not. Here is 2016 horoscope of narendra modi, Read on the horoscope of Narendra Modi 2016. Year 2015 was not good for Narendra modi or BJP. After major set back from Delhi assembly election, they even lose Bihar assembly election, Than many small elections and some political attacks like vyapam scam, Arun Jaitley, sushma swaraj and many more are came under scanner of opposition. As per astrology,if we merge narendra modi’s horoscope and india’s horoscope with BJP’s horoscope, from 9th January,2016 Rahu is coming in Leo sign which will be not good for BJP and NaMo. Rahu in leo will give some big jolt to BJP in 2016. Forth place of modi’s horoscope shows that his post and parliament will be affected in 2016. 10th place of modi’s horoscope shows that there will be some effect on his cabinet and working style. Rahu’s bad effect will give some corruption charges on modi’s cabinet ministers. Also, Saturn and mars are together for long time in BJP and namo’s horoscope will create some issues for them. There will be some communal tension rise in india, nearby January-February, there might be terrorist attack in india. 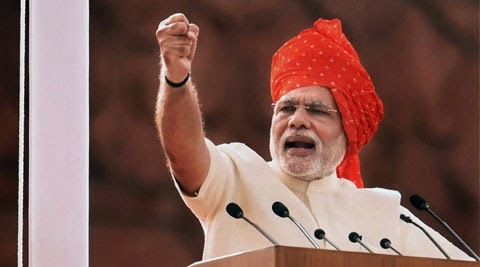 Though, as done in past, with all corruption charges and all problems, Narendra Modi will come out strongly. He will be aggressive in 2016, some strict action will be taken on cabinet minister which will increase his and BJP’s credibility. In April- May 2016, Narendra Modi will go under Mars and Rahu Dasha which will impact on eliminating enemy. India may strike back on terrorists and can take action against their big enemies (in Pakistan). Some secret operation may also carry out. Saturn-mars is in scorpion sign will increase tension among india-pakistan. But india will again come out clean, Narenra modi’s popularity will increase again. In October, 2016 when “antardasha” of Saturn will over, it will give some relief to BJP and Narendra Modi. Click here to read Horoscope of 2016 for all zodiac sign.